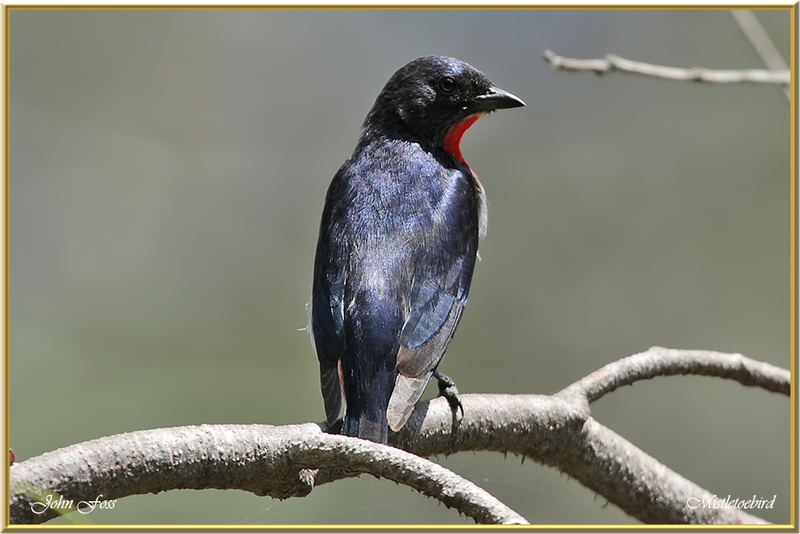 Mistletoebird - a species of flowerpecker native to most of Australia. It feeds on mistletoe berries, nectar, pollen, spiders, and insects. 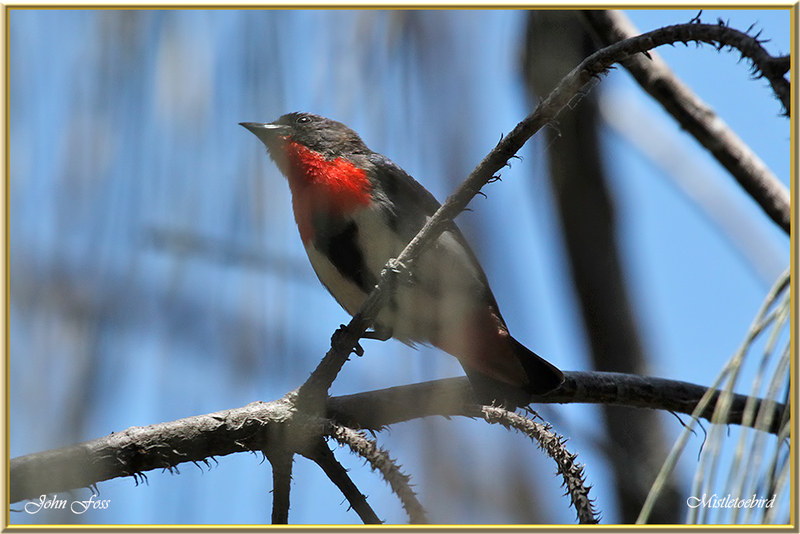 Trying to photograph this bird gave me a merry runaround in Bundaberg Australia. hope to get a better photograph on my next visit!